I made some changes in my "music room" for fall I wanted to share with you all. 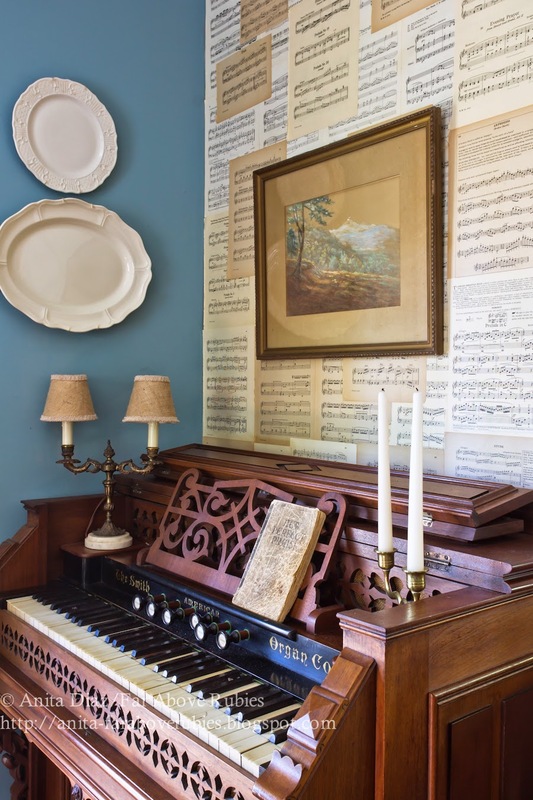 I have wanted a sheet music wall for a while but I was not sure which wall I would use or how I would attach the paper. 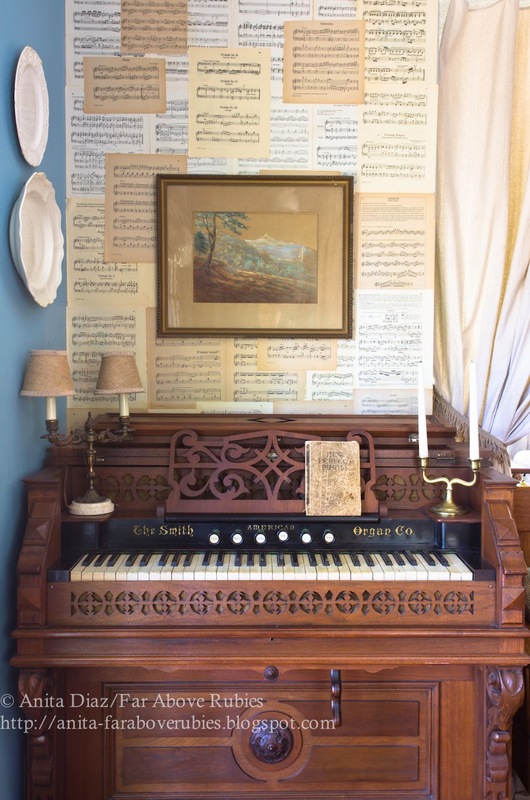 When I painted the living room, I ran out of paint and never got around to this one behind the organ, so I thought it was the perfect spot for music. After much research into what to use, I ended up just grabbing a can of spray adhesive, which I had seen no one use, of course, and going for it. 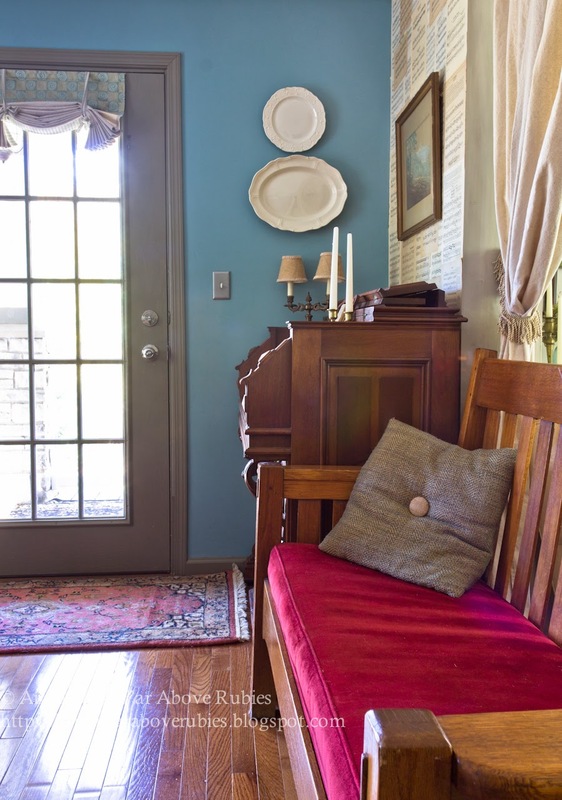 Thanks to my sweet neighbor, who gave me the antique settle from my grandparent's house for my birthday, we also have a spot to sit when listening to "performances." I made a few other changes also to include totally restyling the cabinet my husband made for me. I'll share more on that later, though. I got out the box I made out of newel posts from the old house and filled it with hydrangeas to help soften all the hard lines. Just a few subtle changes, but we really love them and they freshen up the room. We use this space a lot ourselves, plus the children are really starting to show serious interest in music finally. I enjoy this room so much and am so glad I switched it with the dining area last fall. Sometimes, you have to think outside the box as to how to use a space. You never know until you try something different, and you might just get something that's works better than the way it was originally intended. I am crushing over the music wall! I love it so much! You should be proud you "went for it" because it looks fantastic! 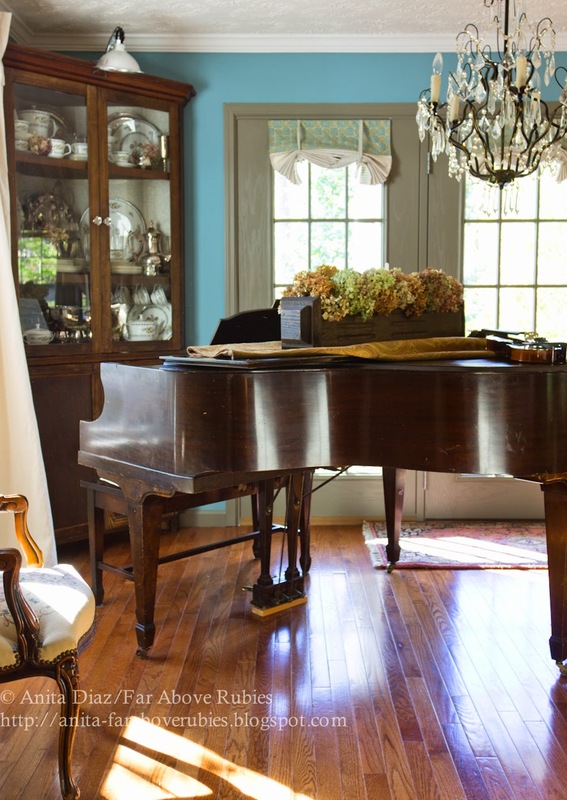 Your music room is gorgeous. 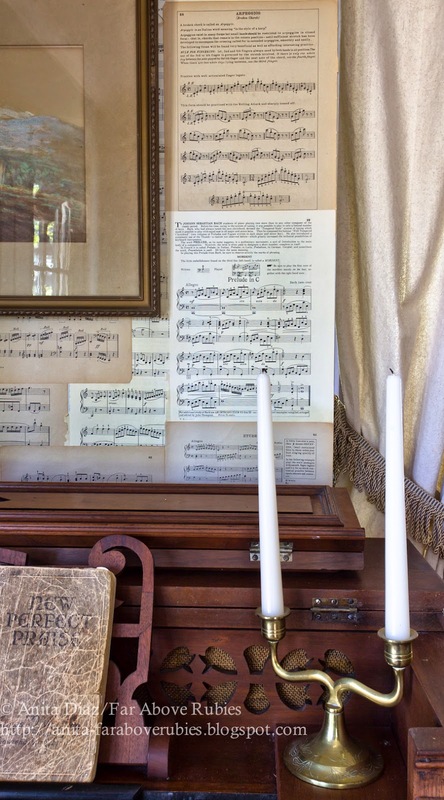 What a wonderful idea to make a wall of sheet music. 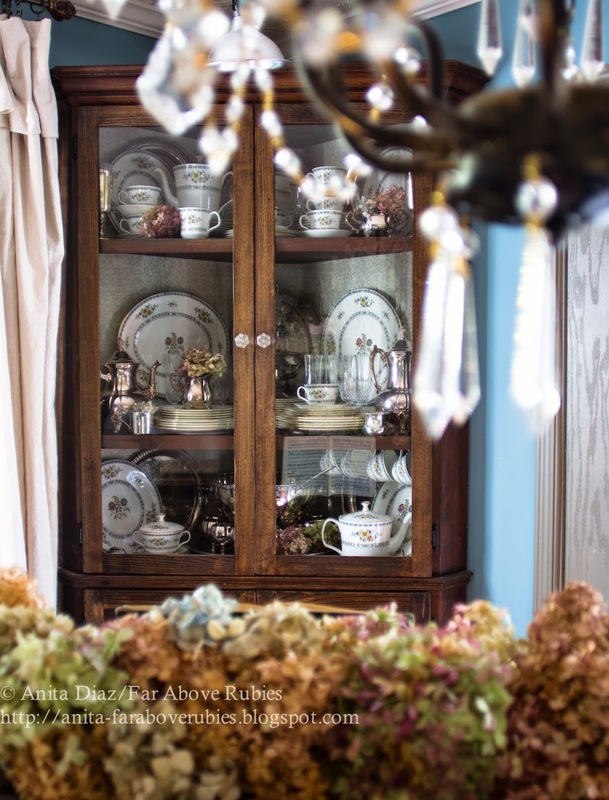 Love your beautiful cabinet and the china. 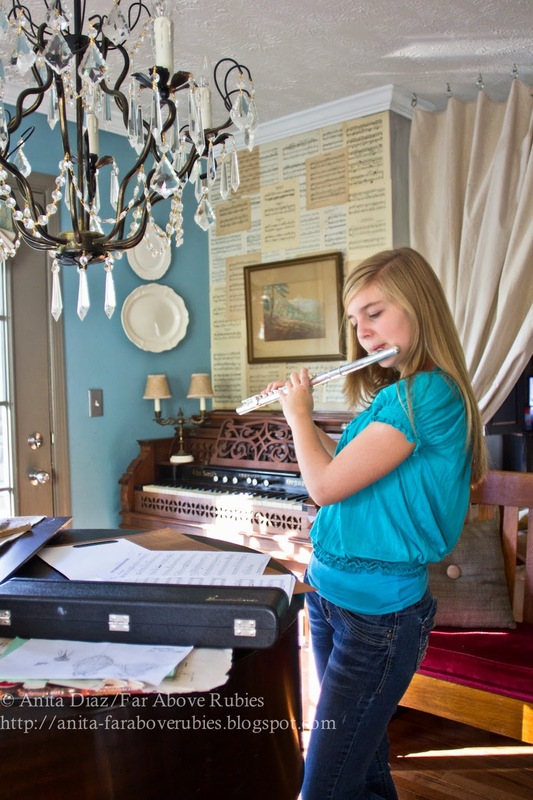 Oh I adore your music room and that sheet music wall is fabulous. I love your sheet music wall! I'm not brave enough to grab that adhesive can, but it looks like what you did turned out great! Your home really is lovely, lovely, lovely!!! have a great weekend! So inviting! I love it! How nice and I love the music wall. The whole room is spectacular with the added plus that it is so useful. This is such an inviting room, Anita! 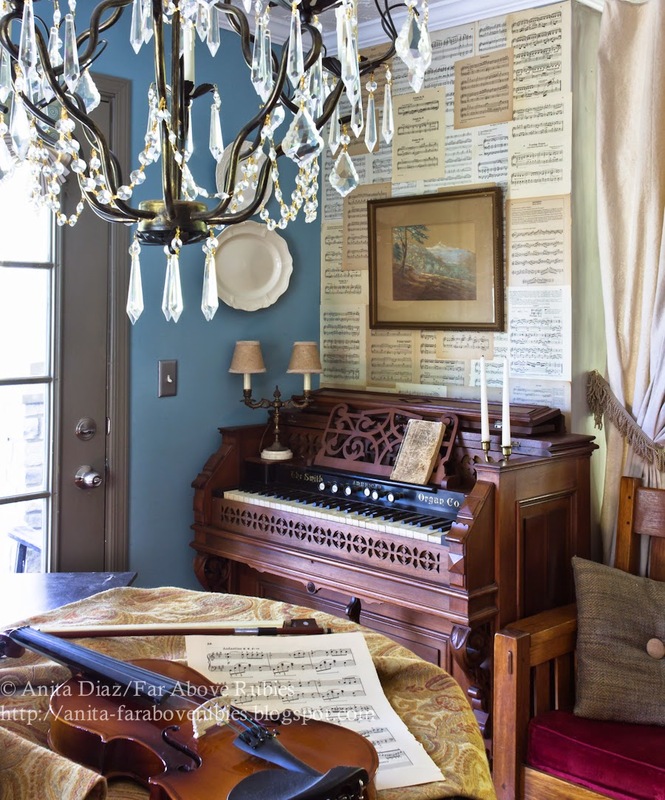 The sheet music wall is a great accent! 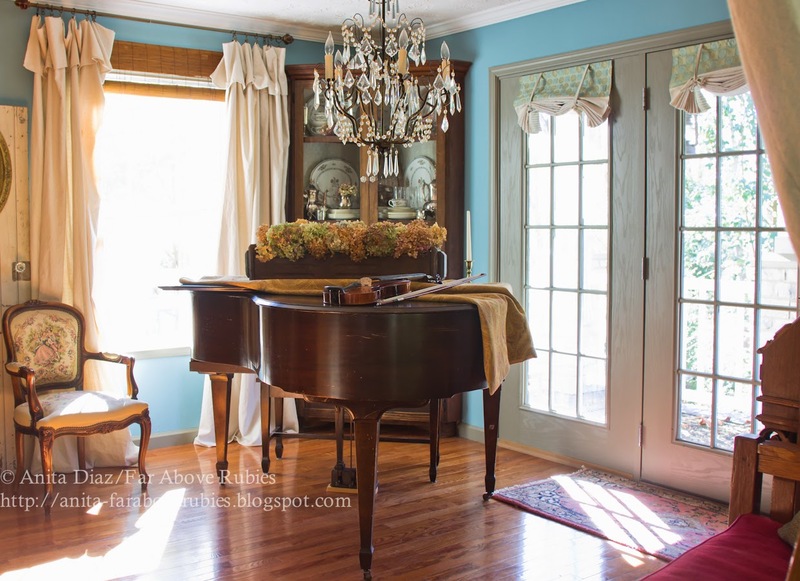 Love the box of hydrangeas on the piano; and the sunlight streaming in. Very pretty!